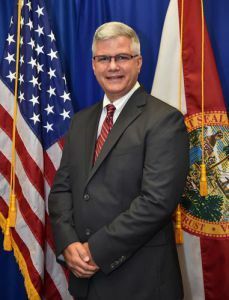 Pensacola State College Police Chief Sean Fagan was among 30 criminal justice executives to recently graduate from the Florida Criminal Justice Executive Institute. An educational opportunity for upper level managers within Florida criminal justice organizations, the Executive Leadership Seminar provides a continuing education forum for the development and refinement of leadership skills. The Class Five of the Executive Leadership Seminar graduates met for three weeks at Florida Department of Law Enforcement headquarters in Tallahassee with a focus on quality in leadership and the ability to create and lead change. 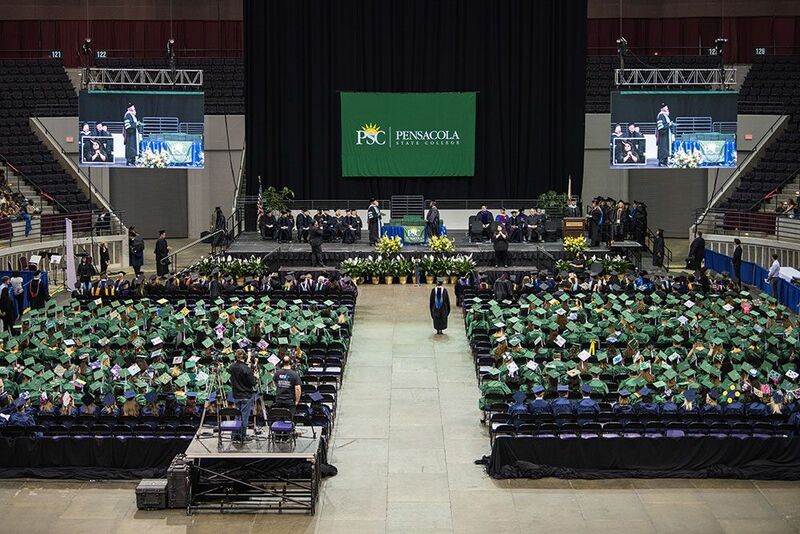 Topics included communicating through a crisis, critical thinking, leading people, managing organizations, overcoming adversity, emotional intelligence and servant leadership. Fagan who was named police chief in May said he learned invaluable skills from the seminar. “The training provided by FDLE Executive Leadership Seminar has given me the necessary skills to support me in building relationships with those I interact with. ELS has changed my leadership outlook in not only employee relations but community relations as well,” said the Milton resident who has more than 27 years of law enforcement experience. In 1987, his career began with the Pasco County Sheriff’s Office where he was a deputy and crime scene investigator. In 1998, he joined the Santa Rosa County Sheriff’s Office as the supervisor of the crime scene unit. In 2002, Fagan went to work for the University of West Florida Police Department and retired from there in 2013. He also worked at the Escambia County Courthouse before joining Pensacola State in January 2016. Established within the FDLE and affiliated with the State University System, the Florida Criminal Justice Executive Institute was established in 1990 by the Florida Legislature to address the need for an innovative and multi-faceted approach to the education and training of criminal justice professionals. With the graduation of Class Five, a total of 100 individuals representing agencies throughout the criminal justice community have completed this program.